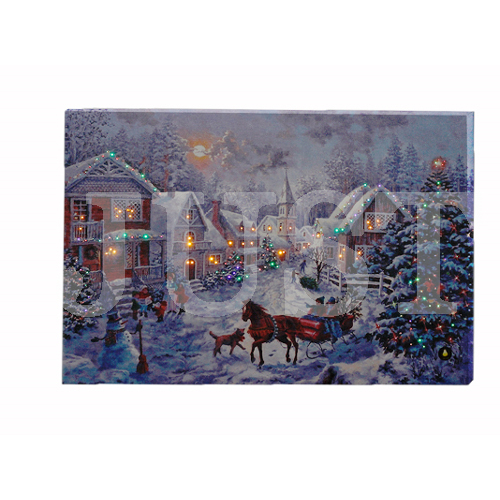 Winter Lane Fiber-Optic Lighted Christmas Canvas art/Christmas stocking/tree skirt with Touch. A wonderful holiday addition to your home decor, this canvas art piece look like a festive print during the day — but after the sun goes down, the glow from within adds an even more celebratory feel. This unique canvas print of a holiday icon draws your eye in and adds a celebratory touch to the season.